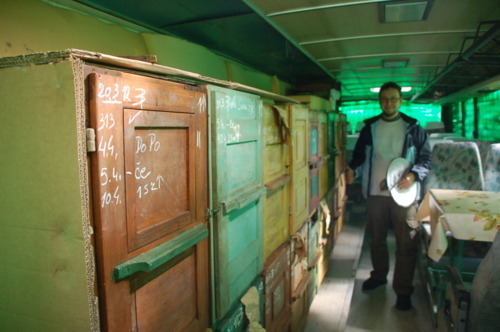 “Damien, a beekeeper near Maribor converted two buses into bee houses. Actually, this is a common Slovenian practice, one that sets their beekeepers apart from others. 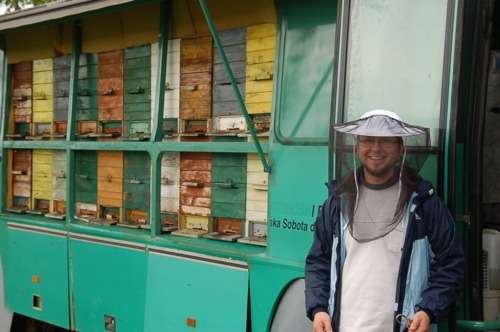 He uses the bee buses for tourism and honey production. You can see the chalk marks on each hive that tell him the status of the hive. 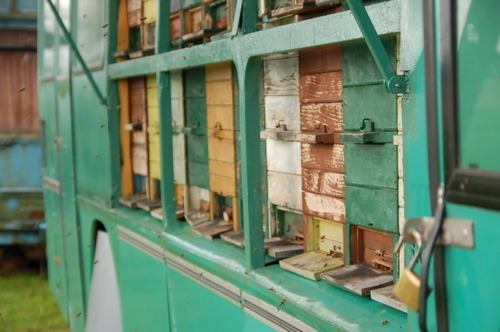 He says many tourists (many Japanese) will meditate in his bee bus. 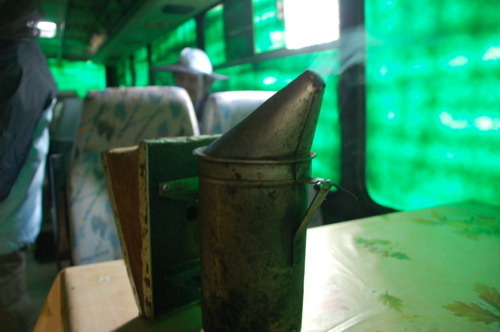 He opens all the hives and people can sit inside the bus surrounded by the noise of the buzzing bees. did you fnd someone to built you a AZ hive? I live in new York and am interested as well. Hi, My website: Only the flash page is up this week – final design next week. 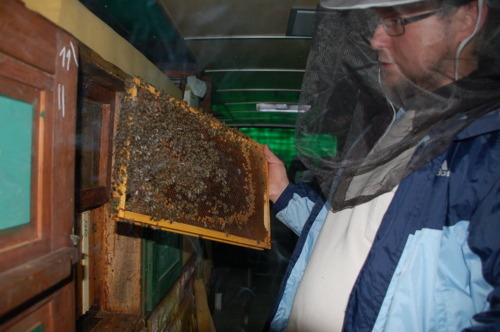 I am importing new – quality constructed – Slovenian beehives (AZ). Arriving Port of Boston in March 2015. Call Mark at 774 722 2409 for details. We are in the process of shipping over 50 Slovene bee hive boxes into Boston. If you are interested in buying one, contact me. I have also organized a Beekeeping Tour to Slovenia for this May 3-16. Our website is only a splash page at the moment but it has the general information on it. Full website will be done by months end.